A new wearable which is able to see how brains sync up when humans interact (for example during a conversation) has been developed by Drexel University biomedical engineers, in collaboration with Princeton University psychologists. This functional near-infrared spectroscopy (or fNIRS) system uses light to measure neural activity during real-life situations and can be worn like a headband. It can have different other applications as how people get TV news or the understanding between a patient and a doctor for example. “We live in a social world where everybody is interacting. And we now have a tool that can give us richer information about the brain during everyday tasks — such as natural communication — that we could not receive in artificial lab settings or from single brain studies.” said Hasan Ayaz, PhD, an associate research professor in Drexel’s School of Biomedical Engineering, Science and Health Systems, who led the research team. 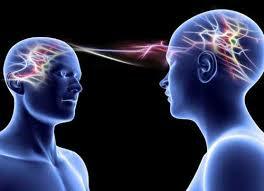 The researchers found that both listeners’ and speakers’ brain interact with each other only when they understand. Another statement is that a listener’s brain activity is almost the same of the speaker’s brain when he or she is telling story about a real-life experience, and the more the listener understand the story the more his brain’s activity looks like the speaker’s one. They also used the functional Magnetic Resonance Imaging (fMRI) to compare but it is less performing because it requires subjects to lie down motionlessly in a noisy scanning environment, that is why the portable fNIRS systemis more efficient.